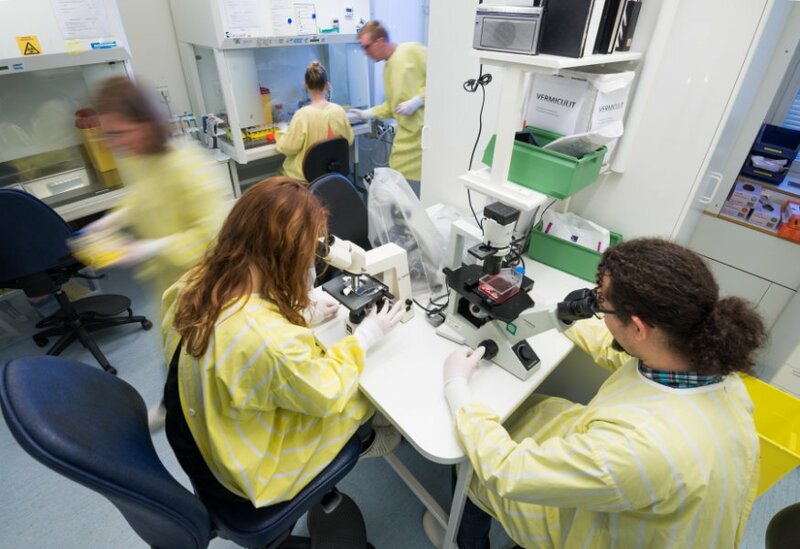 Researchers at Linköping University isolating immune cells from blood samples. Cells in the immune system of patients with MS behave differently from those of healthy individuals. Researchers at Linköping University in Sweden have exploited this difference to develop a method that can predict disease activity in MS. It is not currently possible to know which individuals with MS risk developing severe disease. MS is an inflammatory disease of the central nervous system that mainly affects young adults. The disease is a life-long condition. The researchers behind the new study hope that the method they have developed will contribute to answering the question why certain patients suffer less severely with the disease than others. Eventually, a test may be developed for use in patient management. The new study, published in the scientific journal Cell Reports, describes how the researchers have sought biomarkers that can be used in MS. Biomarkers are naturally occurring substances in the body that can be measured in, for example, blood and that mirror a condition in the body. They are used in medical care to follow the progression of a disease and measure the effect of a treatment. The researchers compared immune cells from patients with MS with cells from healthy controls. They discovered important differences in the functioning of cells from healthy and sick individuals. The researcher investigated how large numbers of proteins interact with each other, and used new bioinformatics methods to find those that are highly significant in MS.
"We have been able to study in detail changes in the immune cells of patients, and been able to identify important proteins. This has led us to a biomarker that can predict how the disease will progress in the patient," says bioinformatics specialist Mika Gustafsson, who has led the study together with Professor Jan Ernerudh. The biomarker that the researchers have identified is a combination of four proteins, whose concentrations in cerebrospinal fluid can be measured. In the study, it was possible for the researchers to predict with the aid of the biomarker which patients with MS would have active MS disease two years later. The new method was also able to predict the efficacy of a common MS drug in a small group of patients. "Being able to determine the prognosis more accurately is a huge step forward when it comes to choosing the correct treatment," says Jan Ernerudh, professor of clinical immunology.